A sewing kit designed to take care of all your virtual embroidery needs. 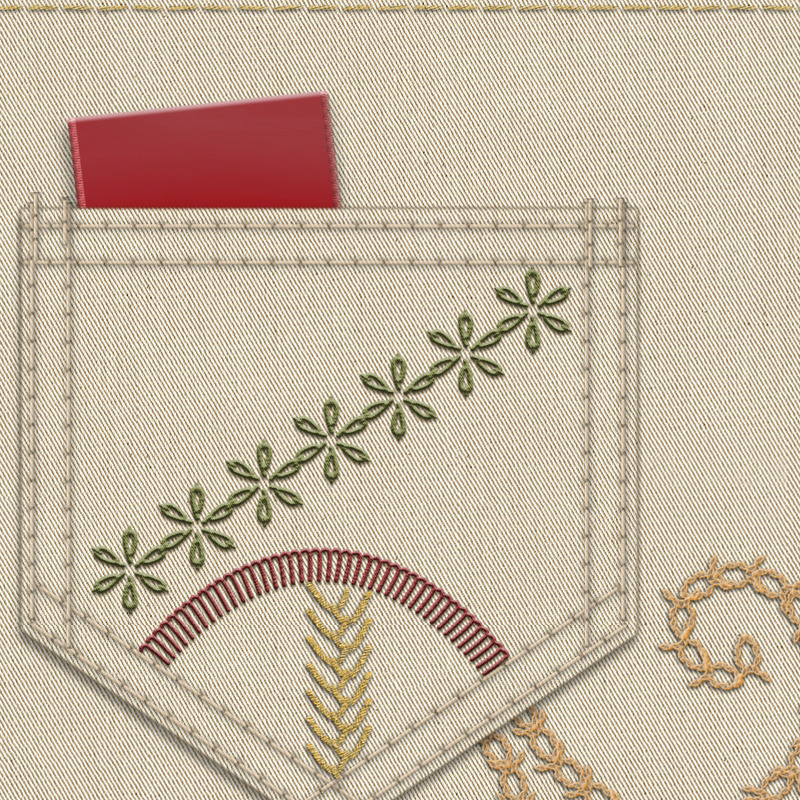 Create shapes or text and make it look like applique. Draw or write freehand in a chain or running stitch. 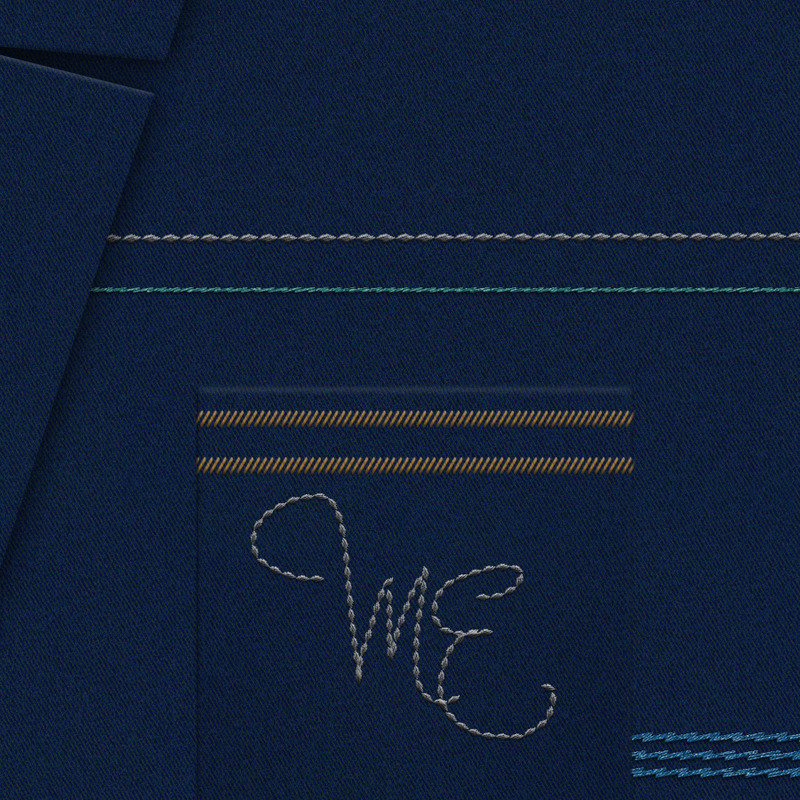 Create simple monograms or logos and make them look like they are embroidered. For best results, the basic brushes and styles need to be customized according to your choice of size, texture and color. Use the fabric textures supplied or add your own. The instructions are simple and easy, but the results look very professional. And it’s FUN to use; great for fashion projects, corporate design, baby themes, wedding ideas, and scrapbook effects. The many Fabric Textures in my portfolio work beautifully with this item too; and my newer item here http://graphicriver.net/item/embroidery-100-sewing-stiches-with-fabrics/7337171?WT.ac=item_more_thumb&WT.seg_1=item_more_thumb&WT.z_author=joiaco extends this set with many more brushes.